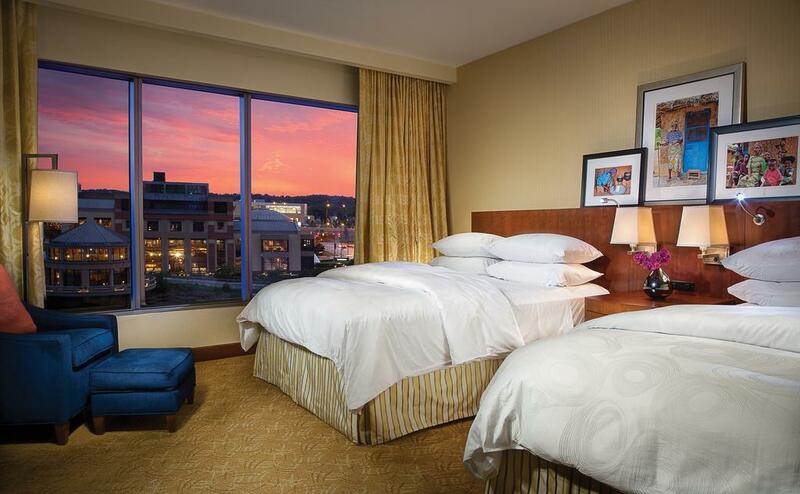 Enjoy a luxurious stay overlooking Downtown Detroit, the Ambassador Bridge & the Detroit River w/ the city’s most spectacular view! 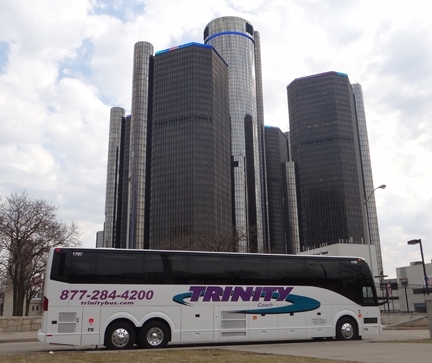 Since 2005 NYEdetroit.com has provided private, complimentary 57 passenger motor coaches to shuttle guests to and from our host hotels to our various parties. Celebrate the New Year in style with door-to-door service to and from the event. We plan for enough space that there is never more than a 15 minute wait for a shuttle. We have thousands of happy repeat customers who love their experience! Shuttles run from hotels to and from the Fillmore, Atheneum & The Masonic Temple (Motown Countdown) 7:30pm – 4am. Note: The hotels do not own shuttles and when booking your rooms general reservations will NOT have detailed information. Welcome letters with shuttle details will be provided at check-in and signage will be posted in the lobby and elevators. Each hotel lobby will be staffed with a bus liaison to direct guests and answer questions. Yep, we’re THAT GOOD!